Although it is November, I am reminded when walking into nearly any store these days that Christmas is coming. This is the season of charitable giving. Writing a check is a generous method of charity, but gifting appreciated stock can save you money on your tax bill while allowing you to be generous in supporting worthy causes. 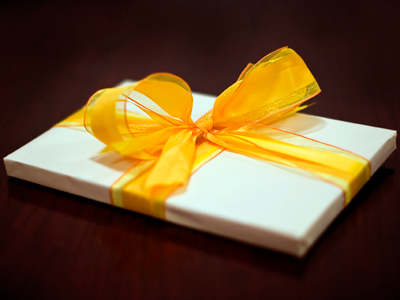 However, many people who see the benefit of gifting appreciated stock are unsure where to begin. Let me help you. Assuming you have decided you want to give appreciated stock instead of writing a check, the first question to answer is how do you decide which stock to give? First, check your portfolio to see what is out of balance. Look for stock positions that are above their target range percentages. Instead of simply selling to rebalance, you can give the excess to charity and even out your portfolio. This first step should give you several options to choose from, especially if you have not rebalanced your portfolio in a while. Next, look for highly appreciated stock. You should be able to see a gain/loss report from your custodian. Check this list for some of the categories that are out of balance, and see how much they have appreciated. This step of choosing highly appreciated stock is what allows you to save money on your taxes. In gifting the appreciation, you save the money you would have paid in taxes had you sold it outright in order to write a check to the charity. For example, say you purchased ABC stock for $2,000. It now has appreciated to $10,000 and you wish to gift the entire amount to your favorite charity. If you sold the stock in order to write a check to charity, you would pay 15% in capital gains tax on the stock appreciation. In this example, the stock appreciation is $8,000. Fifteen percent of $8,000 equals $1,200 in capital gains tax. That means your favorite charity would only receive $8,800 of the original $10,000 of stock. However, if you gift the stock instead, you ensure that the charity gets full benefit of the appreciation, instead of the government taking a piece of the pie first. Also, be sure that the positions you select come out of a taxable account, not a retirement account such as a Roth or traditional IRA. If you are under age 59 ½, withdrawing money from a retirement account for non-emergency reasons carries stiff penalties. If you are above age 70 ½ however, you have options for gifting directly from an IRA, which could actually prove useful. Finally, double-check your stock selections. Are they stocks you would prefer to hold, or are they less vital to your overall asset allocation? Start your research for this process now so you aren’t scrambling at the end of the year and can instead enjoy the holidays with friends and family. Plan to maximize the value of your charitable giving this season!